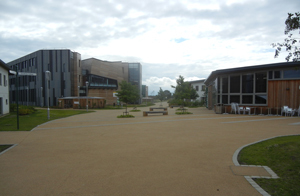 NIFL Resin Flooring Ltd successfully installed over 7,000m2 of Addaset Autumn Gold Resin Bound Surfacing to York University. 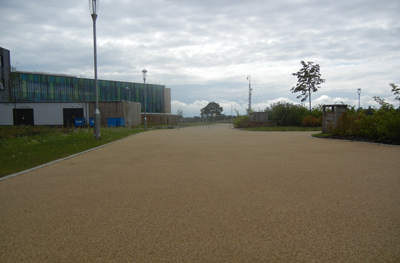 The Addaset Resin Bound Surfacing provides a smooth, hard wearing and low maintenance porous/semi porous surface using a range of natural aggregates. The finished surface is a seamless bound paving system which is flexible and resistant to cracking. 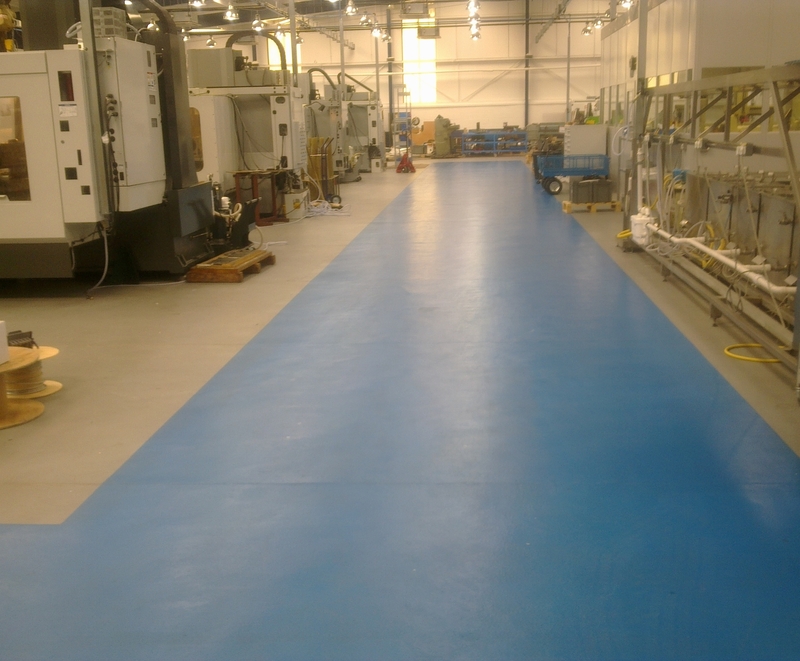 NIFL successfully complete over 1700m2 of 6mm Heavy Duty Flooring Screed together with a vibrant blue High Build Epoxy Paint Coat to mark out over 375m2 of walkways. In order to prepare the existing substrate the entire area had to be shot blasted before the Polyurethane Screed was installed. The Installation took place over a period of 10 days. 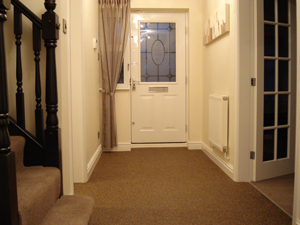 The customer was very pleased with the final result. 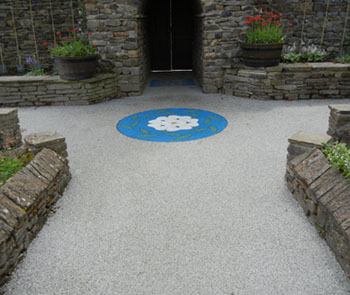 NIFL were contracted by the Architect to supply and install the Addaset Resin Bound Decorative Surfacing in The Herb Garden at the Forbidden Corner in North Yorkshire. Work began on this intricate creation with installation of Decorative Addaset which was the perfect choice to compliment the natural aesthetic appearance of The Herb Garden. 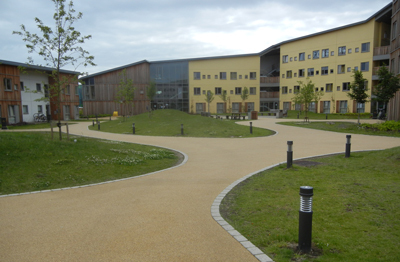 Further details of the project can be seen in our case studies. ....................................................................................................... NIFL Resin Flooring achieved a UK first at Embargo 59, the finest nightclub on King’s Road. 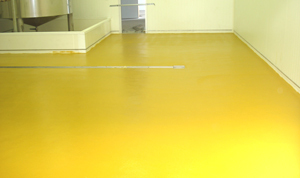 NIFL installed Flowfast Kristalina Gold to Embargo’s famous ‘Gold Room’, a UK first for the recently developed Flowfast product. 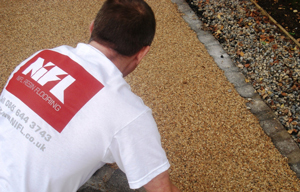 NIFL also installed a Resin Bound surface dressing to ‘The Terrace’ and a Stone Carpet to the bar surround in a project which showed the capabilities of MMA and Epoxy Resin Systems. 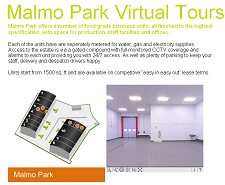 ....................................................................................................... Click Here to see to take a virtual tour of an installation of an installation of Flowfresh HF Polyurethane Screed to Malmo Park Innovation Centre, Hull.We are now about to embark upon our next installation to a Food Incubator at Leeming Bar, totalling 1,500m 2 of Altrocrete PU HF Polyurethane Screed. Congratulations to NIFL Resin Flooring which has been short-listed for the Finishing and Fit Out category of the prestigious Construction News Specialist Awards. The winner will be announced on the 5 March at the London Hilton. NIFL has enjoyed rapid expansion in recent years, doubling its office space and staff in Hull and opening a second warehouse facility to complement the existing one in Nottingham. The company has worked with many blue-chip companies and is a former winner of the FeRFA Contractor of the Year award 2007/8. 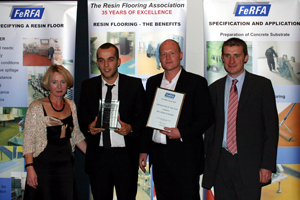 NIFL Resin Flooring has been nominated in the Specialists Awards in Construction 2009, held at London Hilton, Park Lane, March 2009. NIFL is nominated in the category of ‘Finishing and Fit Out’ sponsored by the Association of Interior Specialists. The judging panel consists of the Chairman of the CITB and the Shadow Minister for Construction. 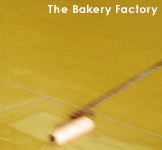 NIFL Resin Flooring has completed a successful renovation for Nestle over the Christmas period. 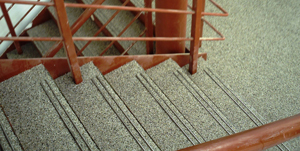 The Nestle production facility based in Carlisle chose NIFL to install Altroscreed Quartz and Stainless Steel Stair Treads, Coving Trims and Edging Trims. ‘Winner of Contractor of the Year is NIFL Resin Flooring who admirably demonstrated all the criteria the FeRFA judges were looking for: all-round performance, quality and variety of work, outstanding customer service, new application techniques, promotion of resin flooring, safety awareness and a commitment to training. ....................................................................................................... NIFL Resin Flooring installs brand new Altrocrete PU Excel HF in a highly successful project to a food production unit in Goole. Please click here to view the project. 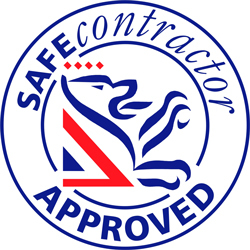 NIFL Resin Flooring has achieved SAFEcontractor approved status. This accreditation adds to our Gold CSCS Certification and CFA and FeRFA Memberships to make us one of the most qualified companies in our industry. As full contractor members of FeRFA Resin Flooring Association, NIFL Resin Flooring has now become a member of the CFA Contract Flooring Association. here to view this stunning project. 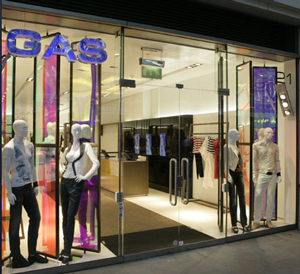 manufactured by Altro Resins, to Gas Clothing in Chelsea earlier this year. 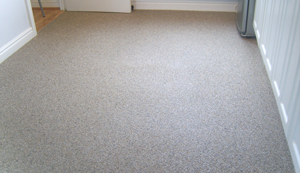 Flooring’, is a Type 8 classified flooring system and was used to provide the most robust of all available systems. NIFL Resin Flooring has completed another designer resin system, in a series of development projects involving domestic resin flooring installations. NIFL Resin Flooring has been awarded the ‘Gold Standard’ Certificate of Commitment to Health and Safety and Training by the Construction Skills Certification Scheme. This qualification demonstrates our dedication to good business practise and total customer satisfaction. Projects completed by NIFL Resin Flooring have been the subject of features in the FeRFA (Resin Flooring Association) Newsletter, the Resdev Spring 2007 Newsletter and the Contract Floors Journal. that gave a ‘wow’ factor to a Mercedes CV Centre. Nottingham Industrial Flooring installed a 6mm Heavy Duty Flooring System in one of the biggest contracts to be awarded in the region. 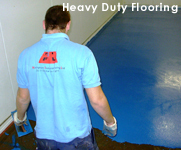 This project has gone on to become of the lasting images of PU Resin Flooring Installation in recent years. new website on 15 th March 2007. 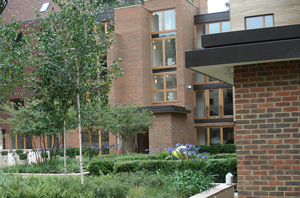 Over the last 25 years NIFL has completed many fantastic projects. Our new website aims to showcase these achievements and provide an easier, more informative web experience for our clients. the February Edition of the official FeRFA Resin Flooring Association Journal.